I often say to Jamie "you can't tame a mustang" to which she always responds "I'll let you know when I find one". And that is why I married her. This sciatica issue in my lower back is slow to heal. It's definitely getting better without running and a lot of core training. I need a goal though. One that keeps me on the right path and helps me focus. When I have a fitness goal, everything else just falls into place. I can focus more at work, I never sway to eat bad food, my blood sugars are always in check. It just makes life better. I can't run. I'm just getting back into swimming. What would the goal be? Bike, a lot. I'm going to do a 200 mile endurance ride (yes Mom, in one day). In California there is an organization that puts on the Triple Crown for any cyclist that has ridden three double centuries in one year, making the list of races/rides extensive. The one I am eying is in April in Hemet, California about 70 miles away from our home or the Central Coast Double in Paso Robles, CA about 300 miles away. My goal is to complete the 200 mile event and a few time trials at Fiesta Island along the way. I can then reassess the sciatica situation at that point instead of dwelling on it day-by-day. On a totally unrelated note. 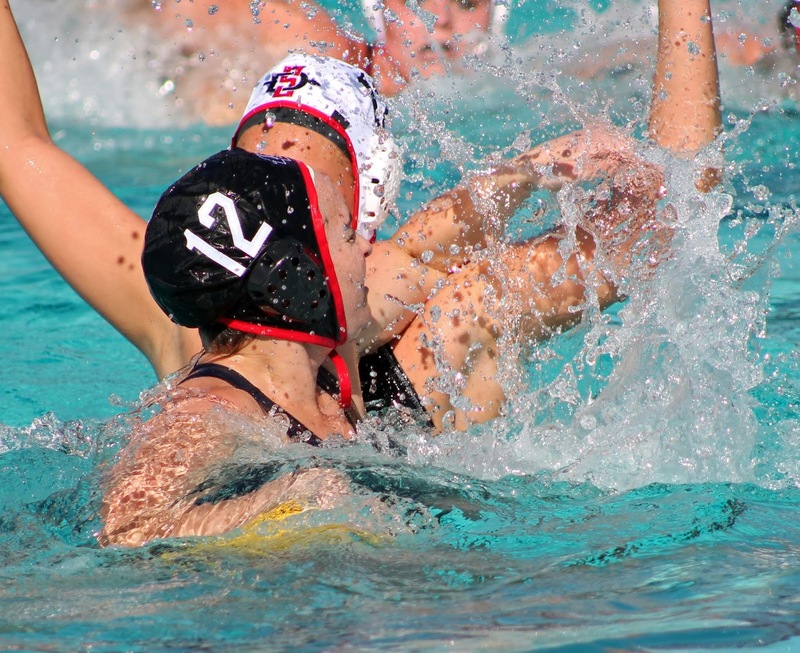 Jamie had her SDSU Alumni Water Polo game on Saturday. Still killing it even as a Cassidy. Proud of her, picture below. April 12 OR May 10? No sir... AND! Also runners are cool and cyclists drool. It's science.